Situated on approximately 40 acres is this beautifully, newly renovated (32 square) 5 bedroom home. 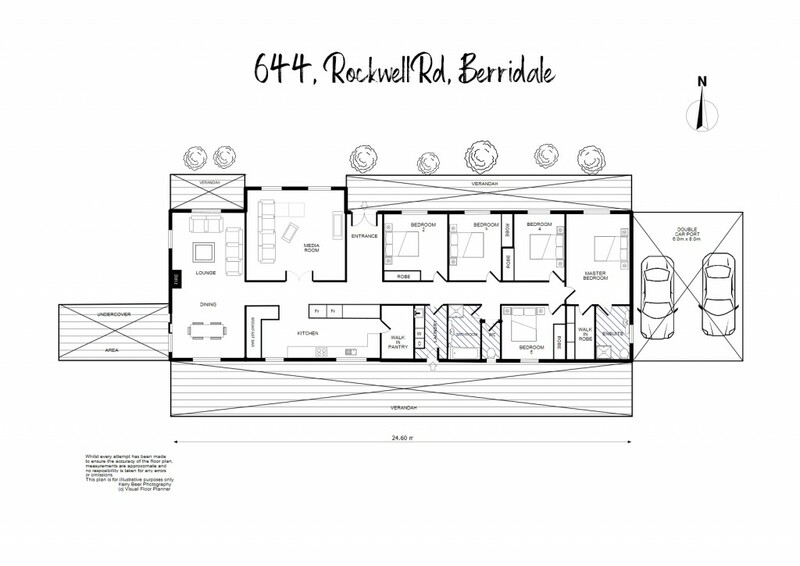 Located just 6kms from Berridale, this stylish residence is finished to impress. The acreage is perfect for horse lovers or people wanting a rural lifestyle without the hassle of maintaining larger acreage. The home boasts luxury finishings with tiling throughout and a huge modern kitchen with plenty of work space and storage and a large walk-in pantry. You will find both formal and informal living areas with an open plan dining room which flows out to multiple undercover areas ideal for year round entertaining. There is a huge slow combustion heater in the living areas providing a beautiful ambience for the cool winter days and evenings. The large master suite has a walk-in wardrobe and en-suite and all other 4 bedrooms are good sized with built in wardrobes. With the abundance of good storage in all rooms and with both bathrooms and laundry recently renovated to a high standard plus the whole house freshly painted, there really is nothing to do but move in and enjoy your new home. The land is level and has a beautiful peaceful and quiet rural outlook. There are 2 dams servicing the paddocks. Rainwater is also collected off the roof and stored in 2 large storage tanks with a freshwater bore for a backup. There is a large concrete floor double garage, an extra height roller door to accommodate a boat or caravan and there is also plenty of extra work space and huge slow combustion heater, ideal as a possible 'man cave' or teenager's retreat. There is also a further shed with storage and a 2-car carport attached to the side of the property. Located less than 5 minutes drive to Berridale, just 20 minutes to either Jindabyne or Cooma, this property is well positioned for snow, water, equestrian, biking and hiking sports alike. With Canberra's new international airport and the South Coast just 1.5hrs away and Cooma's airport on your doorstep with direct daily flights to Sydney, you have access to everything and everywhere. You can own your lifestyle in the Snowy Mountains.